I’ve read through a lot of these trying to find inspiration for my knucks and I have to say this is my favorite. Probably one of the best tattoo stories I’ve heard in a while. You go girl. Live free! Hiya Lindsey, i’m Charlotte from the post – thank you so much for your comments! 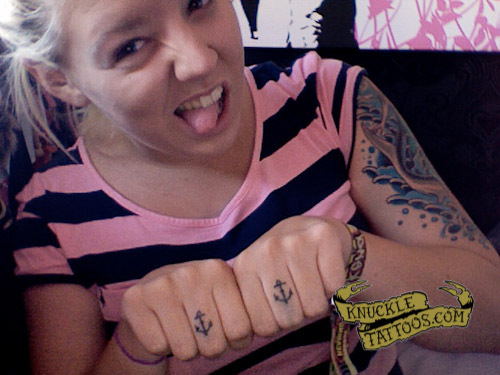 I feel Anchors have such significance to my life and no doubt other people have other meanings to them too. Good luck on your inspiration journey!